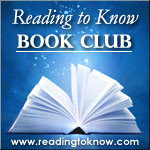 Daniel Deronda is Heather's pick for the Reading to Know Book Club for the month of August. Heather blogs over at Do Not Let This Universe Forget You when she is not preoccupied with planning a wedding and snatching time with her fiance when it is available. In fact, we're a little delayed in talking about this months' book club read because The Fiance is in town visiting her and her family. So you'll pardon us, I'm sure. Heh. At any rate, Heather did manage to write up a little something explaining why she chose this book. I picked Daniel Deronda for the simple reason that I read it quite a few years ago and remember loving it, but being unable to remember exactly why. I do know that it was George Eliot's final novel, and I think Eliot was an interesting author. Though a contemporary of the Bronte sisters, she began publishing later and you won't find any Byronic dark horse heroes in her novels. She is far more interested in reality and psychological studies. Her characters are deeply complex and change far too often in the course of a story for you to label them quickly. Also, she's hard to read. She makes a very rewarding read, but it's rewarding because it's good for you and challenging. And for the record, Queen Victoria was an avid reader of George Eliot. If it's good enough for Queen Victoria, I don't think I need to say much more. I found Daniel Deronda fascinating when I first read it, not only for the story of the brazen and self centered Gwendolyn Harleth, but for the dual storyline about the young Jewish woman and her attempt to find her mother after being separated from her in childhood. Eliot digs into the antisemitism in her own culture and also shows some knowledge of the finer points of Judaism. However, at the time of writing this, I'm still working through my copy and much of what I'm reading has been unfamiliar. So, I think it's fair to say I wanted to reread this novel and found this book club a good excuse to do so. I know this book may seem a little scary to some but I hope you'll give it a shot! If you are planning to join in with us, please leave a comment in the comment section below. I am GOING to read this one. I am. I have a library trip scheduled tomorrow, and I will pick it up, read it, and write something about it. I WILL! I enjoyed Silas Marner but haven't read anything else by George Eliot, so this'll be fun. I've already started! I've been looking forward to this one. 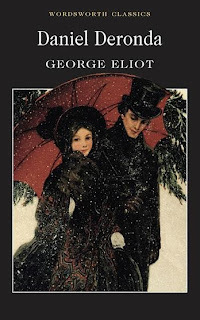 I really enjoyed a Masterpiece Theatre production of this several years ago with Hugh Dancy and Romola Garai (except for one scene), and I've thought about reading the book off and on since. This was a great excuse to do so! Also, the BBC film version I mentioned also has a young Hugh Bonneville (from Downton Abbey) as bad guy Henleigh Grandcourt. Well, I WANT to read this. I PLAN to read it. I HOPE I read it. I would love to, but I have to finish Anna Karenina first. So much for "light" summer reading! I have my library copy already! I started this, but my vacation schedule makes me think that I am unlikely to finish it on time. But I will finish it. I have really enjoyed the George Eliot I have read before, so I was excited that this one was on the list.